“Steering” is the practice of real estate agents guiding home buyers toward or away from certain neighborhoods based  on the buyers’ race. It was an official practice in the real estate industry and common in Durham. Advertisements for homes in new whites-only suburbs  played to white families’ fears that inner-city neighborhoods  were unsafe and unsanitary. Developers sold a sunny  suburban dream that excluded difference and poverty. 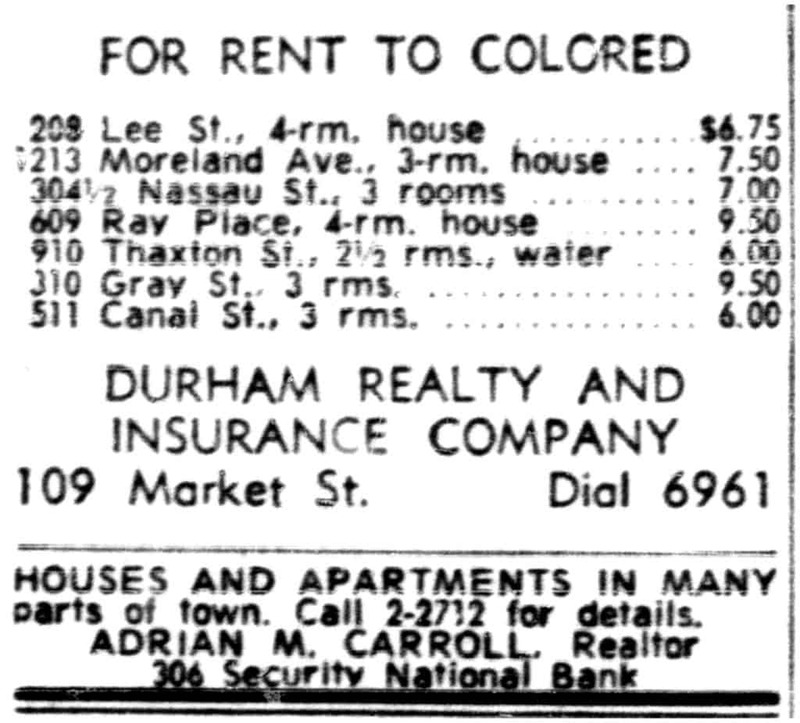 Rental ads specified the desired race of tenants, as you see in this excerpt from the 1959 Durham Morning Herald classifieds section. These were weekly rents, $6.00/week in 1959 would be roughly $220/month today. 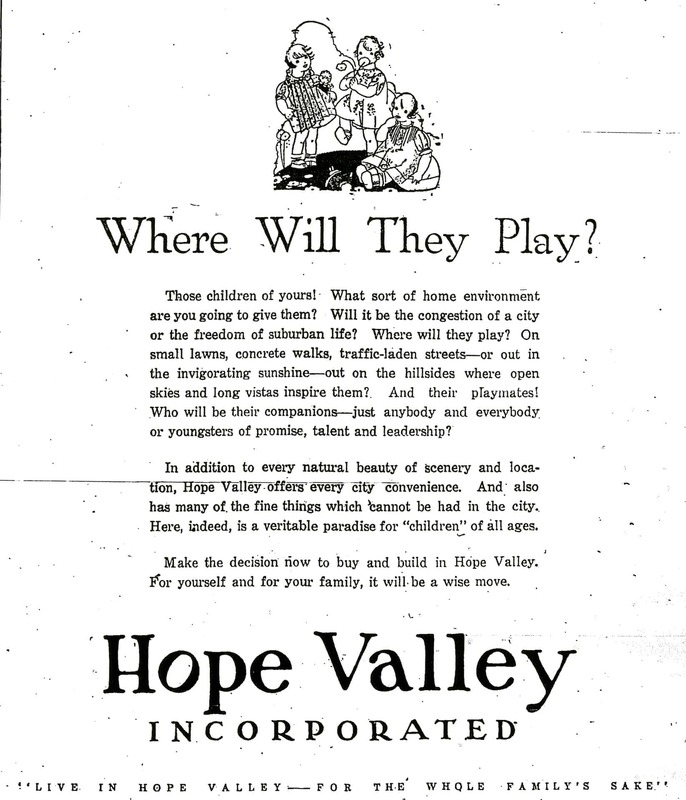 Notice how this ad for Hope Valley paints suburbia as more healthful, more beautiful, more reputable, and even more free than other parts of the city. “Steering” is the practice of real estate agents guiding home buyers toward or away from certain neighborhoods based  on the buyers’ race. 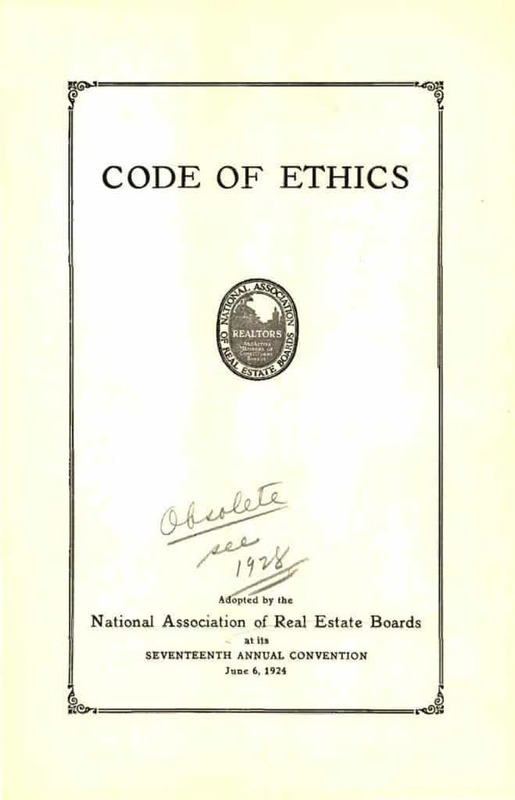 It was an official practice in the real  estate industry and common in Durham.